Gopaler Ma - Frank Parlato Jr.
From "They Lived With God - Life Stories of Some Devotees of Sri Ramakrishna" - by Swami Chetanananda, Advaita Ashrama, Publication Department, 5 Dehi Entally Road, Calcutta 700 014. 'Ah, there is nothing inside this body but God. He fills it through and through' - Sri Ramakrishna on Gopaler-ma. 'Ah! This is the old India that you have seen, the India of prayers and tears, of vigils and fasts, that is passing away' - Swami Vivekananda about Aghoremani Devi to his western disciples after a visit to her. It is hard to believe how the infinite God actually assumes a finite human form and plays with human beings. But this play was actually enacted in the life of a woman devotee of Sri Ramakrishna. She was known as Gopaler-ma, or 'Gopala's mother'. Gopala, or cowherd boy, is an epithet of the child Krishna. Gopaler-ma's given name was Aghoremani Devi, but she came to be called Gopaler-ma because of her fervent devotion to the infant Krishna, which culminated in Lord Krishna appearing before her as a child of seemingly solid physical form. Aghoremani attained this high mystic experience by living a life of austerity and renunciation, and through her steadfast love for her Chosen Deity, Gopala. One way to approach God, according to traditional Hinduism, is by practicing any one of five dualistic attitudes, or moods. These attitudes, or moods, are manifested in the relationship between the devotee and God, and they are: shanta bhava, the peace and stillness felt in the presence of God; dasya bhava, the attitude of a servant towards his Master; sakhya bhava, the attitude of a friend towards a Friend; vatsalya bhava, the attitude of a parent towards a Child; madhura bhava, the attitude of a lover towards the Beloved. The idea behind this classification is to help the spiritual aspirant intensify his relationship with God according to his own inner nature. This is a natural path to God-realization. Gopaler-ma attained her vision of God through the practice of vatsalya bhava, the attitude of a mother towards her child. Aghoremani Devi was born of a brahmin family about the year 1822 at Kamarhati, a northern suburb of Calcutta. Following the social custom of child marriage, she was married at the age of nine. Her wedding was the first and last time she saw her husband, for he died before the marriage was consummated, leaving her a widow of fourteen years of age. However, she was initiated into spiritual life by her husband's family guru and, with the child Krishna as her Chosen Deity, she was given the 'Gopala mantram'. Since a Hindu brahmin widow does not remarry, the love and energy that Aghoremani would have given her husband and children were diverted towards her beloved Gopala. It was Divine Providence that her one-pointed devotion was to make her a saint instead of a faithful housewife. After the death of her parents she went to live at the temple garden of Govinda Datta at Kamarhati, where her brother was the priest of the Radha-Krishna temple. It was a large estate, located on the bank of the Ganga. Govinda's widow, the owner and manager of the temple, was a very pious woman who lived like a nun. She practiced severe austerities, such as sleeping on the floor, bathing three times and eating one meal a day, and observing religious vows, daily worship, japam and meditation. She was looking for a companion, and through her priest she found Aghoremani, who had a similar nature and spiritual inclination. Aghoremani was also very happy to have the opportunity to live in a solitary, holy place on the bank of the Ganga. Aghoremani was short but well built, with a tawny complexion and a face that shone with the glow of purity. It is an ancient custom in India for monastics and orthodox widows to shave their heads because they do not care for external beauty, and following their example, Aghoremani shaved her head. In later years she donned the ochre cloth, the traditional garb of the renunciant. By selling her jewellery and husband's property Aghoremani received about five hundred rupees, which she invested in securities and left in her landlady's care. With the three or four rupees a month interest earned on the investment, she had to manage her living. Sometimes the landlady helped her, but from time to time Aghoremani was forced to draw on her capital. How beautiful was the Ganga, as the little boat crept on and on! And how beautiful seemed the long flight of steps rising out of the water, and leading up, through its lofty bathing-ghat, past the terraced lawn, to the cloister-like verandah on the right, where, in a little room, built probably in the first place for some servant of the great house at its side, Gopaler-ma had lived and told her beads for many a year... Her own little room was absolutely without comforts. Her bed was of stone, and her floor of stone, and the piece of matting she offered her guests to sit on, had to be taken down from a shelf and unrolled. The handful of parched rice and sugar candy that formed her only store, and were all that she could give in hospitality, were taken from the earthen pot that hung from the roof by a few cords. But the place was spotlessly clean, washed constantly by Ganga-water of her own sturdy carrying. And in a niche near her hand lay an old copy of the Ramayana, and her great horn spectacles and the little white bag containing her beads. On those beads, Gopaler-ma had become a saint! Hour after hour, day after day, for how many years, had she sat day and night absorbed in them! The tiny room where Gopaler-ma spent the greater portion of her life, was at the southwest corner of the building. It had three windows on the southern side through which she could see the Ganga. Inside the room were large earthen pots containing rice, lentils, spices, and other things, which she purchased in quantities to last for six months. Fresh vegetables were bought once a week at the local market. She kept her few articles of clothing in a tin trunk, and her cooking pots and pans were neatly stacked in one corner. Both her inner life and her outer life were well organized. This is a sign of a yogi. The scriptures say that the practices of an illumined soul are meant for spiritual aspirants to emulate. Gopaler-ma's life, devoid of comfort and luxury, and filled with intense longing for Gopala, demonstrates how essential austerity and concentration are to realization. Thus it is both important and helpful for seekers of God to know such details as the daily routine, behavior, habits, and mode of life of an illumined soul. Gopaler-ma arose at two o'clock in the morning, washed her face and hands, then started her japam, which continued until eight o'clock. Next, she cleaned the Radha-Krishna temple, washed the worship vessels, picked flowers, and made garlands and sandal paste. She was neat, clean, and meticulous. She would bathe twice a day, mornings in the Ganga and evenings in the pond. After bathing in the Ganga, she meditated for some time under a vilwa tree in the temple garden. Next, she collected dry wood and leaves for her cooking fire. She usually cooked rice, dal, bitter squash, and potato. Her food offering to Baby Gopala was worth seeing. She would place a wooden seat on the floor for Gopala and offer cooked food on a banana leaf-plate, which she set before him. Afterwards she would partake of the prasad and then rest for a while. She practiced japam again then until evening, when she would attend the vesper service of Radha-Krishna and listen to devotional singing. Her supper was always very simple, usually consisting of a few offered coconut balls and a little milk. Again she would start her japam, which continued until midnight. With rare exception, she followed this routine daily for over thirty years -- from 1852 to 1883. Perhaps the only break of any consequence in her routine came when she went on a pilgrimage with her landlady to Gaya, Varanasi, Allahabad, Mathura, and Vrindaban. One day she was cooking as usual, but the fire would not burn, the wood was heavy with moisture, and there was an adverse wind which blew the smoke into her eyes. Finally when the bit of rice and curry was done and she was about to pour it out on the leaf, the same adverse wind blew away the leaf. Then she began to scold God for making everything so bad for Gopala. As she was talking, a little boy brought back the leaf, held it out flat on the ground until she had put the food on it and then disappeared. She began to feed her Gopala; but suddenly she began to ask herself who that little boy was and she realized that it was Gopala himself. From that moment she became mad. All day and night she kept crying, 'Where is my Gopala? Where is my Gopala?' She could not sleep or eat. Only at night would she prepare a little food for Gopala, and everyone thought that she had really become mad. By the 1880s Sri Ramakrishna's name had begun to spread, and it was in the fall of 1884 that Gopaler-ma first went to Dakshineswar, along with her landlady and another woman, to seek an audience with the holy man. As Kamarhati and Dakshineswar are both on the Ganga, they went the three miles by boat. Sri Ramakrishna received them cordially, gave them some advice on devotion, and sang a few songs. He asked them to come again, and graciously, in turn, the landlady invited Sri Ramakrishna to visit her temple garden at Kamarhati. He accepted the invitation. Only a jeweler understands the value of a jewel. Sri Ramakrishna recognized the spiritual magnitude of both Gopaler-ma and the landlady, and, praising them in his sweet manner, he said: 'Ah! What a beautiful expression on their faces! They are floating in the ocean of bliss and devotion. Their eyes are soaked with divine love'. On another occasion Sri Ramakrishna commented about Gopaler-ma, 'During Krishna's incarnation she was a fruit-seller of Vrindaban and she would feed Gopala the sweet fruits'. After her first visit Gopaler-ma felt an irresistible attraction for Sri Ramakrishna and she noticed a change in her life. Off and on she would think about Sri Ramakrishna, 'He is a nice man and a real devotee'. She decided to see him again soon. A few days later, while she was practicing japam, her desire to see him became so intense that she immediately left for Dakshineswar by herself. It is an ancient custom that one should not visit God or a holy person empty-handed, so on her way she bought two pennies' worth of stale sweets, which was all that she could afford. She was confident that he would not eat them, since so many people bought better offerings every day. But no sooner had she arrived at Dakshineswar than Sri Ramakrishna asked: 'Oh, you have come! Give me what you have brought for me'. She was embarrassed, but she reluctantly handed over the stale sweets to him. Like a hungry boy he started to eat them with great relish and said to her: 'Why do you spend money for sweets? Prepare some sweet coconut balls, and when you visit this place bring one or two of them with you. Or you may bring a little of the ordinary dishes which you cook yourself. I want to eat your cooking'. I thought: 'What a strange monk. He talks only about food. I am a poor widow. Where shall I get so many delicacies for him? Enough! I shall not come back again'. But as soon as I crossed the gate of Dakshineswar garden, I felt he was, as it were, pulling me back. I could not proceed further. I had a hard time persuading the mind, and at last I returned to Kamarhati. A few days later she came to Dakshineswar on foot, carrying some ordinary curry that she had cooked for Sri Ramakrishna. He relished it and said: 'What a delicacy! It is like nectar'. Tears rolled down Gopaler-ma's cheeks. She thought the Master appreciated her humble offering only because she was poor. During the next three or four months Gopaler-ma visited Dakshineswar several times, always carrying some plain good for the Master. Invariably he asked her to bring some new food on her next visit. Sometimes she would think in disgust: 'O Gopala, is this the outcome of my prayer? You have brought me to a holy man who only asks for food. I shall not come back again'. But as soon as she returned to Kamarhati, she would again feel that irresistible attraction, and her mind would long to see the Master. At the invitation of Govinda Datta's widow, Sri Ramakrishna went to visit the temple garden of Kamarhati. He attended the worship service of Radha-Krishna and sang many devotional songs. The landlady and others there were very much impressed, seeing the Master's ecstasy during the kirtan. After taking some prasad he returned to Dakshineswar. I looked at him in amazement and thought, 'How did he come here?' Meanwhile Gopala [as she called Sri Ramakrishna] kept on smiling sweetly. As I took courage and grasped his left hand, Sri Ramakrishna's form disappeared and in place of it appeared the real Gopala -- a big child of ten months old. His beauty and look beggar description! He crawled towards me and, raising one hand, said, 'Mother, give me butter'. This overwhelming experience bewildered me. I cried out so loudly that if there had been men around they would have assembled there. With tearful eyes I said, 'My son, I am a poor, helpless widow. What shall I feed you? Where shall I get butter and cream, my child?' But Gopala did not listen to me. 'Give me something to eat', he kept on saying. What could I do? Sobbing, I got up and brought some dry coconut balls from the hanging basket. Placing them in his hand, I said, 'Gopala, my darling, I offer you this wretched thing, but don't give me such a poor thing in return'. I could not perform japam at all that day. Gopala sat on my lap, snatched away my rosary, jumped on my shoulders, and moved around the room. At daybreak I rushed to Dakshineswar like a crazy woman. Gopala also accompanied me, resting his head on my shoulder. I distinctly saw Gopala's two tiny, rosy feet hanging over my bosom. I was then cleaning the Master's room. It was seven or half past seven in the morning. In the meantime I heard somebody calling, 'Gopala, Gopala' from outside. The voice was familiar to me. I looked and it was Gopaler-ma. She entered through the eastern door like an intoxicated person, with disheveled hair, staring eyes, and the end of her cloth trailing on the ground. She was completely oblivious of her surroundings. Sri Ramakrishna was then seated on his small cot. I was dumbfounded seeing Gopaler-ma in that condition. The Master, in the meantime, entered into an ecstatic mood. Gopaler-ma sat beside him and he, like a child, sat on her lap. Tears were flowing profusely from her eyes. She fed the Master with cream, butter, and sweets which she had brought with her. I was astounded, for never before had I seen the Master touching a woman in a state of ecstasy...After some time the Master regained his normal consciousness and went back to his cot. But Gopaler-ma could not control her exuberant emotion. In a rapturous mood she began to dance around the room, repeating, 'Brahma is dancing and Vishnu is dancing'. Watching her ecstasy the Master said to me with a smile, 'Look, she is engulfed in bliss. Her mind is now in the abode of Gopala'. Gopaler-ma's ecstasy was boundless. Her vision, conversation, and play with her beloved Gopala continued: 'Here is Gopala in my arms... Now he enters into you [pointing to Sri Ramakrishna]...There, he comes out again...Come, my child, come to your wretched mother'. Thus she became convinced that Sri Ramakrishna was none other than her Gopala. Only a mystic understands the language and behavior of another mystic. Sri Ramakrishna was happy to see her ecstasy, but then, in order to calm her, he began to stroke her chest and feed her with delicacies. Even while eating, Gopaler-ma said in an ecstatic mood: 'Gopala, my darling, your wretched mother has led a life of dire poverty. She had to make her living by spinning and selling sacred thread. Is that why you are taking special care of her today?' From this time on Aghoremani Devi was known as Gopaler-ma. Gopaler-ma stayed the whole day at Dakshineswar, and then, before evening, Sri Ramakrishna sent her back to Kamarhati. The same baby Gopala went with her, nestled in her arms. When she reached her room, she started to tell her beads as before, but it became impossible. Her Chosen Deity, for whom she had practiced japam and meditation all her life, was now pestering her, demanding this and that, as he played in front of her. When she went to bed, Gopala was by her side. She had a hard bed without a pillow and he began to grumble. At last she cradled his head on her left arm and said: 'My child, sleep tonight in this way. Tomorrow I shall go to Calcutta and ask the daughter of the landlady to make a soft pillow for you'. Modern man, inclined to be skeptical and scientific, has great difficulty in accepting as real such experiences as Gopaler-ma's. However, from the traditional Hindu point of view, there are much finer states of consciousness than the one in which we experience the sense world, and this has been substantiated again and again by the experiences of saints and seers. When the mind is pure and saturated with Spirit, such high states of consciousness are possible. Gopaler-ma meditated on her beloved Gopala so much that her mind became very pure. As a result, she entered the superconscious realm, and wherever her eyes fell, she saw Gopala. In this realm of mystical experience, verbal expression, mental cognition, and intellectual reasoning do not function. The only consciousness is the direct consciousness of God. 'Yes you have attained everything'. 'Yes, you have. It is no longer necessary for you to practice japam and austerity for yourself, but if you wish, you may continue those disciplines [pointing to himself] for the welfare of this body'. Thus assured by Sri Ramakrishna three times, she said: 'All right. Whatever I do henceforth will be for you'. Sri Ramakrishna consoled her, saying: 'In this Kali Yuga if one has such visions continuously, one's body does not last long. It survives only twenty-one days and then drops off like a dry leaf'. Since Gopaler-ma had experienced the bliss of constant divine inebriation, it was difficult for her to live without it. She had no interest in mundane things. Just as a worldly person is always restless for worldly objects, in the same way her heart was restless for the continuous vision of Gopala. She felt a pain in her chest and thought it was due to the pressure of gas. But Sri Ramakrishna told her: 'It is not gas. It is caused by your spiritual energy. How will you pass your time if it goes away? Let it be with you. When you feel too much pain, please eat something'. Sri Ramakrishna used to receive gifts of sweets, fruits, and rock candy from various people, but he could not eat all of it. There were some business people who would offer gifts to him believing such offerings to a holy man would bring them prosperity. This type of food invariably contaminates the mind of the eater. Consequently, the only devotees Sri Ramakrishna would give these things to were Swami Vivekananda and Gopaler-ma. He knew that the minds of these two great souls were in such a high realm that they could never be affected by eating such food. Sri Ramakrishna replied, 'You have also fed me with so many things in the past'. 'In the past? When?' she asked. 'In your previous life', he said. During the Car Festival of Lord Jagannath in 1885, Sri Ramakrishna went to Balaram Basu's house in Calcutta. Balaram had invited many devotees for the celebration. While he was there the Master spoke highly of the God-intoxicated state and visions of Gopaler-ma, and at his behest, Balaram sent a man to bring her. Just before her arrival the Master was talking to the devotees when suddenly he went into ecstasy. His body assumed the pose of Gopala, crawling on both knees, one hand resting on the ground, the other raised, and the face turned up as if he were expecting someone. Gopaler-ma arrived then and found Sri Ramakrishna in the posture of her Chosen Deity. The devotees were amazed, seeing that divine sight. It was a striking feature in Sri Ramakrishna's life that whenever any mood would come over him he would be fully identified with it. Even in his later years, when he would sing, dance, or make gestures like a woman or a child, people were amazed, seeing their precision and spontaneity. His voice was sweet and melodious, and his movements were natural, simple, and beautiful. There was not an iota of insincerity or display in his behavior and action. Sri Ramakrishna stayed in Calcutta for a few days and then left for Dakshineswar by boat. Some of the devotees, including Gopaler-ma, accompanied him. Balaram's family had lovingly given Gopaler-ma some necessary items of clothing and utensils in a bundle which she was carrying on the boat. The Master came to know from other devotees what was in the bundle. Immediately he became grave, and without directly referring to the items, he began to speak about renunciation. He said: 'Only a man of renunciation realizes God. The devotee who is simply satisfied with another man's hospitality and returns empty-handed, sits very close to God'. He did not say a single word to her, but he kept looking at her bundle. Gopaler-ma understood. The Master always watched over his devotees so that they might not deviate from the path of nonattachment. He could be as soft as a flower, and again as strong as a thunderbolt. His superhuman love conquered the hearts of the devotees, so a little indifference from him would give them unbearable pain. Gopaler-ma was stung with remorse and thought of throwing the bundle away. But she kept it, and when she reached Dakshineswar she related everything to Holy Mother. She was ready to give all the items away, but Holy Mother stopped her and said: 'Let the Master say what he wants. There is no one to give you gifts, and moreover, you have been given some things which you need'. Nevertheless Gopaler-ma gave some of the things away. Then she cooked some curries for the Master and carried the tray of food to him. Seeing her repentance, he behaved with her in his usual manner. She returned to Kamarhati feeling much relieved. After God-realization the illumined soul is carried along by the momentum of his past karma, but he ceases to be affected by it. He behaves like a witness, completely unattached to the world. He continues his daily routine, and he helps other people towards realization. Gopaler-ma also followed her old routine. But from time to time she would visit the Master, and whatever visions she had during meditation she would relate to him. Once he said to her, 'One should not disclose one's visions to others, because it stops further visions'. One day, however, Gopaler-ma and Swami Vivekananda (then called Narendranath) chanced to be present at Dakshineswar at the same time. Gopaler-ma was uneducated, unsophisticated, simple, and a devout worshipper of God with form; Narendranath, on the other hand, was learned, sophisticated, intelligent, and a staunch believer in the formless God. As a member of the Brahmo Samaj, he looked down on worship of God with form. Sri Ramakrishna had a tremendous sense of humor, so he engaged these two devotees, with their opposing points of view, in a discussion by requesting Gopaler-ma to relate her visions to Narendranath. 'But will there not be harm in telling them?' she asked. Assured by him that it would be all right, she related all her visions in detail to Narendranath with overwhelming joy and tears. 'Yes, Mother, whatever you have seen is all true', Narendranath assured her. On another day, Gopaler-ma invited Sri Ramakrishna for lunch at Kamarhati. This time the Master went by boat with Rakhal, a young disciple who later became Swami Brahmananda. She received them cordially, and after they had enjoyed the delicacies she had cooked for them, they went to a room upstairs which had been arranged for their rest. Rakhal fell asleep immediately, but the Master was wide awake. Presently a foul odor permeated the room, and he saw two hideous looking ghosts with skeletal-like forms. They said to him humbly: 'Why are you here? Please go away from this place. Seeing you, we are in unbearable pain. The Divine Presence was no doubt the cause of their pain, either because it reminded them of their own pitiable condition, or because evil spirits cannot bear that Presence. Sri Ramakrishna immediately arose and gathered up his small spice bag and towel. In the meantime Rakhal woke up and asked, 'Master, where are you going?' 'I shall tell you later', said Sri Ramakrishna. They both went downstairs to Gopaler-ma and, saying good-bye to her, left on the boat. The Master then told the whole story to Rakhal, explaining that he did not say anything to Gopaler-ma because she was staying there alone. At any rate, she knew that ghosts frequented the area, and Sri Ramakrishna knew that her spirituality protected her from their presence. 'One who has steadfast devotion to truthfulness realizes the God of Truth', said Sri Ramakrishna. His own life was based on truth, and whatever he said invariably came true. One day Gopaler-ma cooked for the Master at Dakshineswar. When he found that the rice was not properly boiled, he indignantly said: 'Can I eat this rice? I shall not take rice out of her hand anymore'. People thought that the Master had only warned her to be careful in the future. But shortly afterwards it so happened that cancer developed in his throat, and from then on he could only eat thin porridge and liquids. As the illness grew worse, Sri Ramakrishna was moved from Dakshineswar to Calcutta, and then Cossipore (a northern suburb of Calcutta) for treatment. Gopaler-ma now and then would come to serve him. One day the Master expressed a desire to eat a special kind of thick milk pudding. Yogindra, a young disciple, was sent to Calcutta to buy the pudding from the market. On the way, however, he stopped at the house of Balaram Basu, and when the women devotees heard about his errand, they asked him to wait and let them cook it. They meant well, reasoning that the homemade food would be of better quality than the market food. Yogindra agreed. But when he returned with the pudding and told the Master the reason for his delay, the Master scolded him: 'I wanted to eat the market pudding, and you were told to buy it. Why did you go to the devotee's house and give them trouble over it? Besides, this pudding is very rich and hard to digest. I will not eat it'. Indeed, he did not touch it, but he asked Holy Mother to give the pudding to Gopaler-ma. As he explained: 'This is given by the devotees. Gopala dwells in her heart. Her eating it will be the same as my eating it'. After the passing away of Sri Ramakrishna, Gopaler-ma was grief stricken and for a long time lived in seclusion. After a while, however, repeated visions of the Master consoled her bereaved heart. Once she went to attend the Car Festival of Jagannath in Mahesh, on the other side of the Ganga. There she had the cosmic vision of the Lord. She saw her beloved Gopala not only in the image of Jagannath in the chariot, but also in the pilgrims who were pulling the chariot. 'I was then not myself', she said. 'I danced and laughed and created a commotion there'. Occasionally she would visit Sri Ramakrishna's monastic disciples at the Baranagore monastery. At their request she would cook a couple of dishes and offer them to the Master. One day, after Sri Ramakrishna had passed away, some of his disciples went to see her and found her room full of mosquitoes and other troublesome creatures. Although she did not appear to mind them and kept on repeating the Name of the Lord, it distressed them to see her in such discomfort, so the next day one of the disciples brought her a mosquito curtain. That night when she sat down to repeat the Name, she found her mind constantly wandering to the curtain, thinking whether a cockroach or a rat might not be eating off a corner of it. Seeing this she said, 'What! This wretched curtain thus to take my mind away from my Gopala!' and without ado she made it up into a bundle and sat down again to her devotions with the mosquitoes all about her. The next morning we were just getting up at the Math when Gopaler-ma appeared. She had walked all the way [at least five miles] and must have started at three o'clock. She laid the bundle down. 'What is it?' someone asked. 'It is the curtain you gave me yesterday. It takes my mind away from God. I don't want it', was her answer; and nothing could persuade her to take it back. One day in 1887 Gopaler-ma came to Balaram's house in Calcutta. A number of devotees were also there who were aware of her high spiritual experiences, and they began to ask her some questions. She said to them: 'Look, I am an old, illiterate woman. What do I know about the scriptures? Why don't you ask Sharat, Yogin, and Tarak?' But they persisted, so finally she said: 'Wait, let me ask Gopala. O Gopala, I don't understand what they are talking about. Why don't you answer their questions? Hello, Gopala says this...' In this way Gopaler-ma answered the abstruse questions of the devotees. They were amazed. That remarkable question and answer session ended abruptly, however, when Gopaler-ma suddenly said: 'O Gopala, why are you going away? Will you not answer their questions anymore?' But Gopala had left. 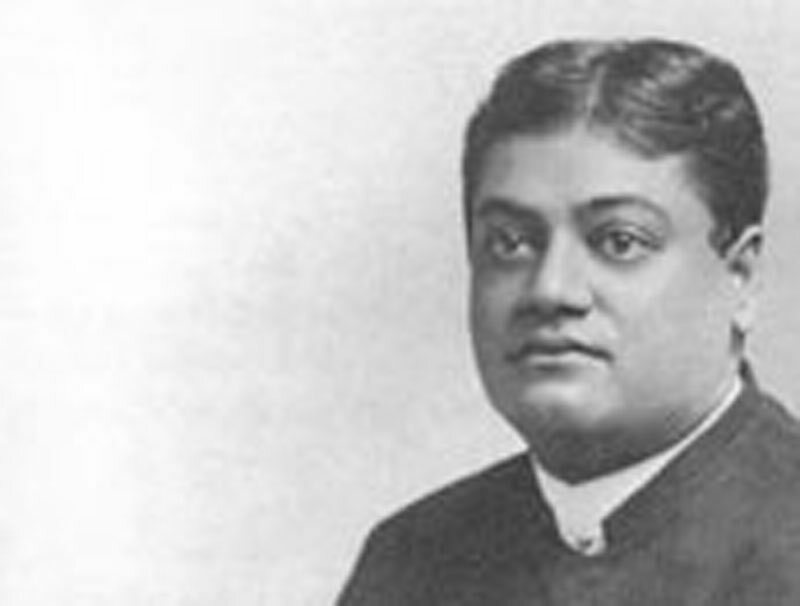 In 1897 Swami Vivekananda returned to India from his first visit to the West. Later he sent three of his Western disciples, Sister Nivedita, Mrs. Ole Bull, and Miss Josephine McLeod, to Kamarhati to meet Gopaler-ma. She received them cordially and kissed them. As she had no other furniture in her room, they sat on her bed. She then served them with some puffed rice and sweet coconut balls and shared some of her spiritual experiences with them. When they returned to Calcutta, Swami Vivekananda said: 'Ah! This is the old India that you have seen, the India of prayers and tears, of vigils and fasts, that is passing away'. Once two women devotees came to Swami Vivekananda at Balaram's house requesting initiation, but he sent them to Gopaler-ma. She was reluctant, however, and said to Swamiji: 'My son, what do I know about initiation? I am a poor widow'. Swamiji replied with a smile: 'Are you an ordinary person? You have attained perfection through japam. If you cannot give initiation then who can? Let me tell you, why don't you give your own Ishta-mantram to them? It will serve their purpose. Moreover what will you do with your mantram anymore? Listen, offer your body and mind to God. Initiation is not an insignificant thing. Do not leave your seat without repeating then thousand japam in each sitting. While practicing spiritual discipline disconnect yourself from the thoughts of the world. Start your japam at 3 o'clock in the morning so that nobody is aware of it; and again practice in the evening. She had immense love for the disciples of Sri Ramakrishna. When the news of Swami Vivekananda's passing away reached Kamarhati, she was in her room. She cried out in pain, 'Ah, Naren is gone?' She felt dizzy, saw darkness all around, and fell to the floor, fracturing her right elbow. Gopaler-ma was then living there by herself, although the place was known for being haunted. During the time the landlady lived there, a guard looked after the place, but since no one was there now to help her, Swami Saradananda appointed a gardener and sent a woman to take care of her broken arm. Seeing the attendant, Gopaler-ma said: 'Why have you come here? You will have to face a lot of hardship. My Gopala takes care of me. Where will you sleep? You must find a room. They are all under lock and key, so you will have to ask the priest to open one for you. Let me tell you frankly at the outset that there are some evil spirits around. Whenever you hear any strange noise, repeat your mantram wholeheartedly'. At night the attendant slept opposite Gopaler-ma's room, and she heard the sound of heavy, hurried footsteps coming from the roof and a rapping noise through the window. It was quite a test for her. Gopaler-ma had to face many such ordeals during her long stay in that garden house by herself. She never felt lonely, however, for her beloved Gopala was with her day and night. Moreover, she did not care for a companion because it might interfere with her visions. As she had very little body-consciousness, she was reluctant to take personal service from others. Independence is happiness and dependence is misery. She practiced this Vedantic teaching in her life. 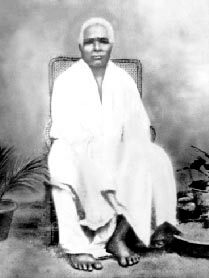 In 1903 Gopaler-ma became seriously ill. Swami Brahmananda then sent one of his young disciples to nurse her. The boy brought fruits and vegetables for her and slept in the corner of her room. He awoke very early in the morning, however, when he heard Gopaler-ma talking with someone: 'Wait, wait! Even the birds have not yet sung. Let the morning come, my sweet darling, and then I shall take you for a bath in the Ganga'. 'Don't you know that Gopala lives with me? I was trying to control his naughtiness', she replied. As her health grew worse, the disciples of Sri Ramakrishna arranged for her to be moved to Balaram's house in Calcutta. But Sister Nivedita expressed a desire to serve this saintly woman, so Gopaler-ma was taken to her residence. A cook was appointed, and Kusum, one of Gopaler-ma's disciples, attended to her personal needs. In return Gopaler-ma gave Nivedita maternal affection and support. Her presence in the house created an atmosphere of spiritual serenity. To see God in everything is the culmination of Vedantic experience. Gopaler-ma had a pet cat in whom she used to see Gopala. One day it was lying peacefully on Nivedita's lap when Kusum came and pushed it away. Immediately Gopaler-ma cried out: 'What have you done? What have you done? Gopala is going away -- he is gone'. Those who carry the Lord in their hearts always enjoy festivity. They never get bored or pass a single dull moment. The body of Gopaler-ma was deteriorating day by day, but her mind was floating in bliss. When Holy Mother went to see her, Gopaler-ma sighed: 'Gopala, you have come. Look, you have sat on my lap all these days; now you take me on your lap'. Holy Mother took Gopaler-ma's head on her lap and caressed her affectionately. Thus the curtain fell on the divine drama of Gopaler-ma. The monks went to her room and found her two most precious possessions, the rosary, which had passed through her fingers millions and millions of times, and a picture of Sri Ramakrishna, who had appeared before her as Gopala. Nivedita took the rosary, and the picture was sent to Belur Math, where it still rests on the altar of Holy Mother's temple. Once, being asked for some advice from a disciple, Gopaler-ma said: 'Ask advice from Gopala. He is within you. No one can give better advice than he. This is the truth. Cry with a longing heart and you will reach him'.